Then they subcontract the job out to Some Plumber, who comes and installs it. Well, yes, but there are some things you should know. Why hire your own plumber? If you hire your own plumber, you get to choose the one you want instead of the big box being the middleman. You aren’t dependent on the methods of a store in their hiring a plumber who will tolerate the pricing, hours, etc., imposed by the big box store, and he actually works for you. Sometimes the big box subcontractors are plumbers who can’t muster up enough business for themselves. Typically, the big box will continue to call them to do jobs until they get a complaint. Which is great, unless you’re the one who has the complaint, in which case it’s too late. One of the advantages of having your own plumber is that it isn’t a three-way deal. They will come out when you call, even if you have an actual emergency after hours when the big box store is closed. 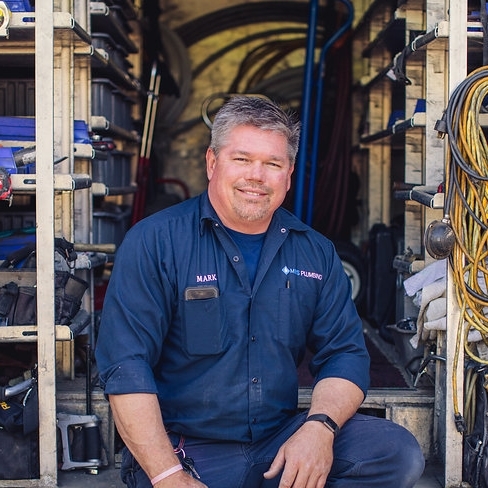 Your own plumber will come out to repair your appliance regardless of where you bought it. They also have access to a variety of parts beyond those for sale at the big box. If that water heater has some years left in it, they will repair it instead of selling you a new one at the cost of a replacement charge. They will also sell you the size you need based on their professional opinion. Not that Apron Guys aren’t very good at their job, but if it comes down to a guy who has been installing them for ten years or a guy that has three gold stars on his name tag, it doesn’t take much to guess which of them is more qualified to determine your needs. Big box stores offer a warranty. But, if like many cities that big box store has a number of lawsuits against it, that might be an indication to avoid their installation service. As a rule, big stores have big lawyers, and they aren’t something the average person wants to have to take on. So, if it seemed easier to hire the big box to get you a plumber instead of doing research, well, that research has to be done anyway, except it’s the big box store under the magnifying glass. Plumbing is not the right place for shoddy workmanship. If there isn’t a local plumber with credentials, or if you don’t feel entirely comfortable with their assessment or free estimate (yes, an estimate should be free), you might be better off with a big box. However, if the plumber has a history of happy customers (reviews), are upfront and fair about their pricing and warranty, and have the all-important license, bond and insurance, then you may be able to pass on the big box store and hire a plumber yourself. Once you find a plumbing company you like and trust, it can provide you with peace of mind knowing that you have someone you can call for anything from small jobs to big emergencies.